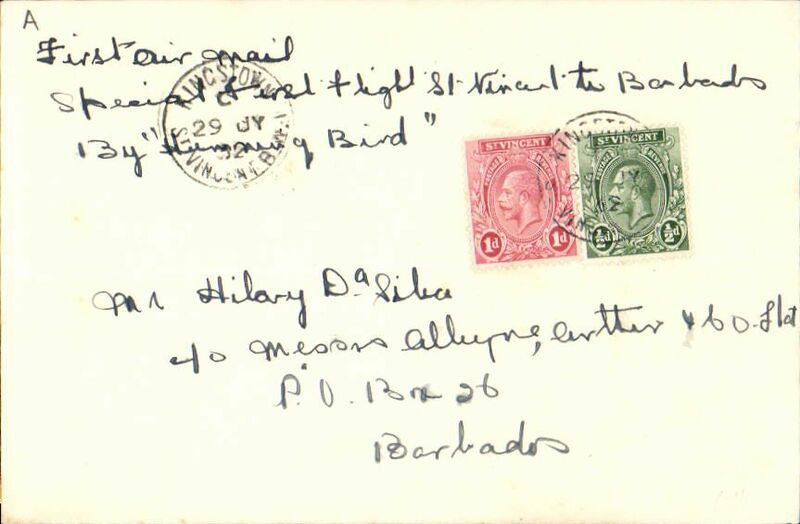 Rare St Vincent "Hummingbird" flight to Barbados, bs 30/7, plain cover franked 1 1/2d canc St Vincent/29 JY 32 cds, typed "Special First Flight St Vincent to Barbados/by Humming Bird". 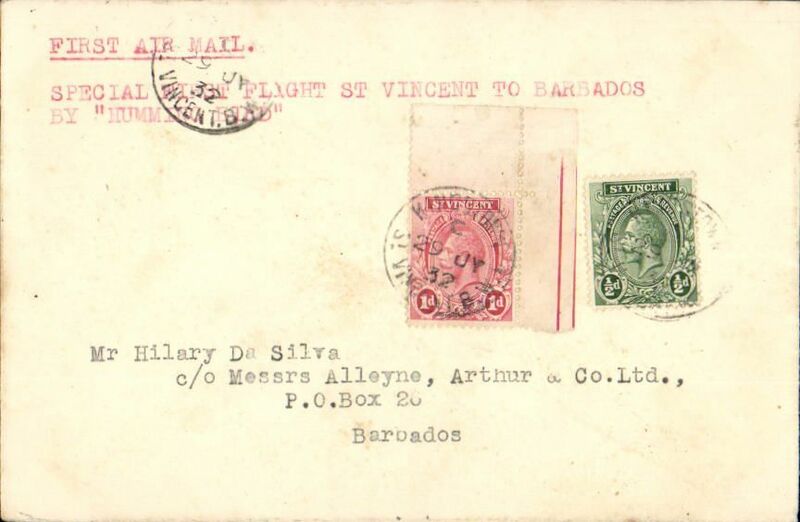 Rare St Vincent "Hummingbird" flight to Barbados, bs 30/7, the first and only official air mail. Plain cover franked 1 1/2d canc St Vincent/30 JY 32 cds, typed "First Air Mail/Special First Flight St Vincent to Barbados/by Humming Bird". A letter of expertisation from Francis Field accompanies this item.